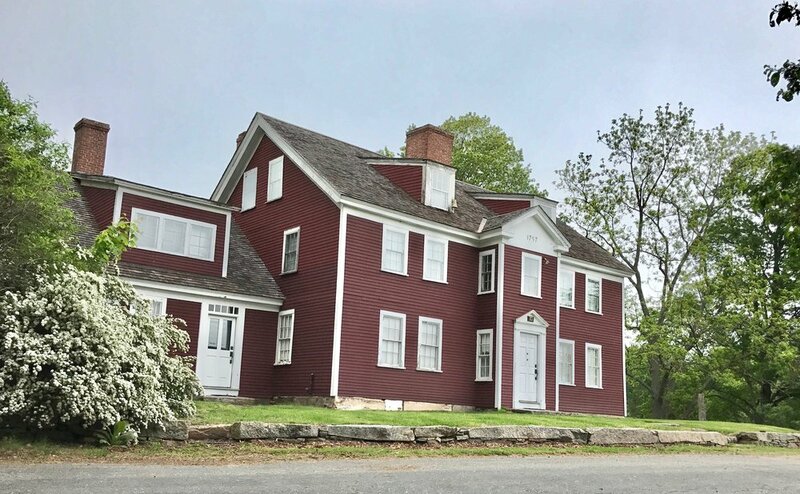 Pictured Above: Waters Farm, a hilltop homestead in Sutton, Massachusetts that overlooks beautiful Lake Manchaug, was built in 1757 by Stephen Waters and is listed on the National Register of Historic Places. With stunning panoramic views of the lake, barns and pristine farmland, Waters Farm offers visitors a rare glimpse of 19th century New England farm life at its best. Spread across 120 acres of watershed land, Waters Farm was given to the Town of Sutton by Dorothea Waters Moran in 1974. Her cousin, Bud Gurney, also of Sutton, was the founder of Waters Farm Preservation Inc. and served as the President until his passing in 2007. Bud was very humble about his role, always recognizing the wonderful team that made it happen. Over the years, we have also lost some of our most dedicated members of the Waters Farm team. A few of those very dear friends are Bob Anderson, Paul Burrows, Bill Gustafson, Lee Knowton, John Sinacola and most recently, Pennie Putnam Linder and Andy Nedoroscik. While they can never be replaced, we are blessed to have new volunteers coming forward to fill some of those very large shoes. If you are interested in getting involved, please contact Bob Chauvin at bob@watersfarm.org or Pam Gurney Farnham at pam@watersfarm.com. We welcome and appreciate any assistance that volunteers would like to provide. We also hold Work/Volunteer Days throughout the year, where anyone can show up and help out in a number of ways, including grounds maintenance, small carpentry projects, building clean-up, and general farm work. The farmhouse has always been open for tours during our summer events. We also host Open-House days through the warmer months of the year, where visitors are taken through the Farmhouse, which has been historically preserved and features many of the furniture pieces and household items donated by Waters family members over the years. Make sure to check our calendar and follow us on Facebook for upcoming Open House dates. Waters Farm continues to thrive into the present. We have expanded our event schedule, maintain an active 12-member Board of Directors (many of the members serving in excess of 20 years), with well-attended open meetings where all are welcome. At Waters Farm, everyone has the opportunity to get involved and feel a sense of our community. Below is the 2018 Waters Farm events schedule. If you would like to download a PDF copy to save on your computer, you can do so at: WF 2018 Events Schedule. (Right-click for PC, Secondary-Click on Mac, then select "Save As"). You can also view upcoming events on our Events page.